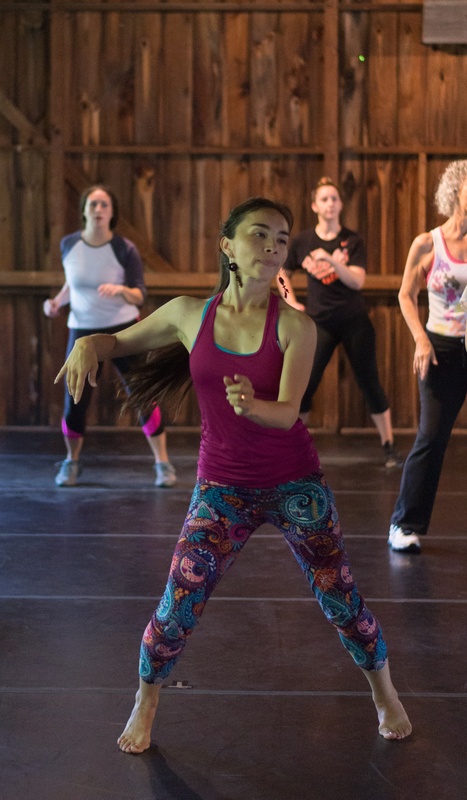 Jessy Kronenberg, Dance Program Director at El Cerrito High School and former president of the California Dance Education Association, first planned her own, self-directed dance teacher’s Pillow retreat in 2016. After ushering, taking classes, and learning the history of the Pillow, she decided more teachers needed this experience. For Festival 2017, she brought Jakey Toor, of the San Francisco Unified School District and dancer with Cuicacalli Dance Company, Vannia Ibarguen, Artistic Director at Global Water Dances and Artistic Director of Vannia Ibarguen Danza, and Chard Gonzalez, Principal at South Coast Conservatory and Artistic Director at Chard Gonzalez Dance Theatre. The four teachers fully immersed themselves in the Pillow and experienced everything it had to offer. 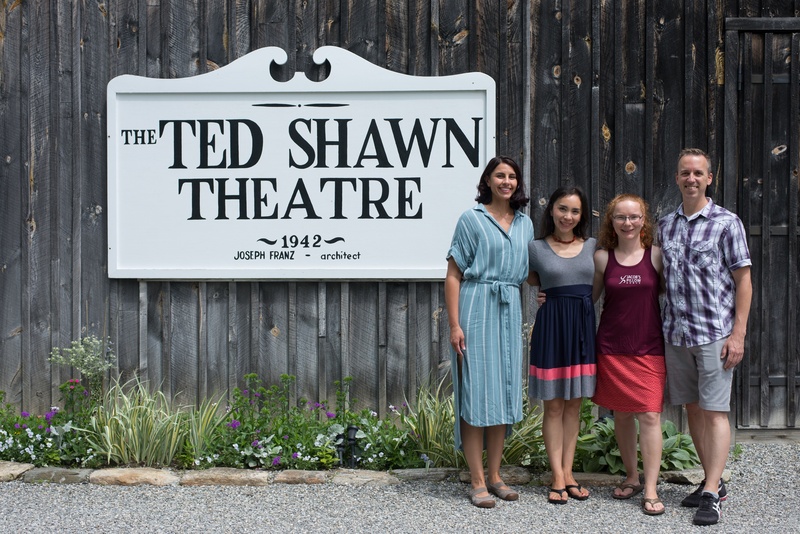 They sat down with Jacob’s Pillow intern Madison Florence in the Tea Garden to discuss their time at the Pillow and what they gained from the week. Jessy, what brought you back to the Pillow and what motivated you to bring some of your friends and colleagues? Jessy Kronenberg: It was immediately apparent that as much fun as it was to be here on my own and how spiritual it felt to enter this space, the component that was missing for me was sharing it with other people who do what I do. I would get to know the people that work here and it was great but everyone was busy. 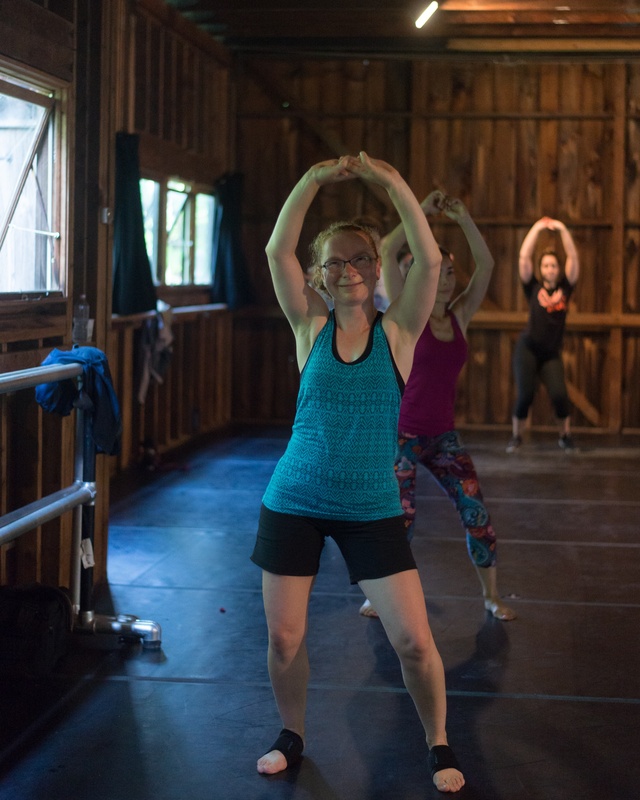 Because there wasn’t an organized thing where other dance educators were coming I was very much on my own and in that way it felt very much like a retreat. I had a lot of time to myself but I was immediately thinking I should bring my friends next year. I knew that other dance teachers like me were teaching about the Pillow but had never been. Then I finally said, “I need someone in this room to hold me to it. Come back next year and ask if I went.” There was a little bit more of accountability. I felt it would be good to have more people to share this experience. So now that you’ve all come on this journey are you glad you came? What’s your favorite part of it all? Jakey Toor: I have learned so much just about the Pillow, and also having the opportunity to take class. Being so focused on teaching year-round, it’s wonderful to do something restorative and rejuvenating for myself. Being in the company of like-minded people that you don’t really need to explain anything to has been a real gift. Just being able to do it in such a beautiful setting with such rich history, it’s been incredible for me. Vannia Ibarguen: Ushering is something I never did before. As a performer I usually am inside, over there, busy. Now it’s meeting the patrons and knowing exactly how to facilitate people and how to teach other people about the Pillow. It was great to feel like you are are part of this great community, and for me it was mostly about the history. This place was actually inhabited by wonderful people, American history, and nature. This is something that is very very important to me to be surrounded by nature. I do site-specific work and it’s like dance and nature come together. So I spent some time by myself breathing that air that has inspired so many people here. Chard Gonzalez: I’m always looking for professional development opportunities I’m excited about, and often I end up with a lot of teachers…being a part of a community where you have the highest caliber training happening at the same time as the highest caliber performances in all different styles and method and approaches–to be a part of that seems really essential and helpful to the part of me that’s a teacher and the other part of me that’s an administrator. This is something that I hope we can develop or that Jessy can develop even further so that I can offer my teachers this as an opportunity for their own development. Do you have a favorite destination on campus that you visit? CG: For me the Doris Duke Theatre for some reason, maybe because of the experiences that I’ve had there with the companies that were performing. It just feels like a really open space for more experimental performance. JT: I actually found a picnic table right in front of the Doris Duke Theatre and I really connected to that energy for the reasons that you said. That sort of experimental, really creative, pushing boundaries, energy and I just love this particular table there. VI: The Inside/Out space. It’s a magical space. Just sitting at that place you can feel the energy. JK: For me the Ruth St. Denis Studio because we have been taking class in there. Then there’s the Duke where we took master class with Faye Driscoll, then we ushered that show and now we are ushering Roy Assaf. It’s a reminder of how this is a contained space but how it can be so many different things for different people, different moments. As teachers, what will you take away from this experience? If you could tell someone one thing about Jacob’s Pillow what would you want them to know? JT: That a place exists that does train at the highest level but also has a very active place in the community and brings people of all dance levels together. That’s something I support as a idea of democratizing dance, and that there is a place that actually facilitates all of that happening at the same time. JK: I think for me the idea of Denishawn and Ted Shawn and the world of where American modern dance got its start. I feel like it’s important to reach back when we are teaching things now and say things that we are doing now came from somewhere and there’s a place that represents some of that and that there’s a place that you can physically go there. It’s the idea that it exists and in dance in particular we just don’t have a lot. In California there are three sites that Denishawn occupied are unmarked. It’s erased in a sense. But this is here so there and alive. Graham’s first performance with Denishawn happened three miles from my dance studio in California and I tell my students that because I think it is important that when we are learning about our dance ancestors that they were real. I think it’s hard for them to connect to that. I think it’s hard for all of us. That’s something I will take back and do take back. CG: The connection from not only the incredibly valuable historical experience and what you gain from that, but the relevance of what is happening at this time and how all of that connects. I believe it is really important to not only remember our past but also how that has lead to now, where it can go forward, what our trajectory is and how the Pillow embodies that. VI: It’s making tangible what is kind of fleeting. Dance is happening at the moment but this is actually here. You can touch it. This is a place where dance was but is also happening now and with all the range of what was and what is becoming. You can see how to honor that but also stay open to the future and what is happening on that stage over there. I am amazed by all the beautiful dancers and choreography and we have that range. People, students, other teachers can relate to that and it’s not watching a video or reading a book. It’s here. It’s alive.